It’s International Women’s Day and we are celebrating by highlighting outstanding women geneticists. 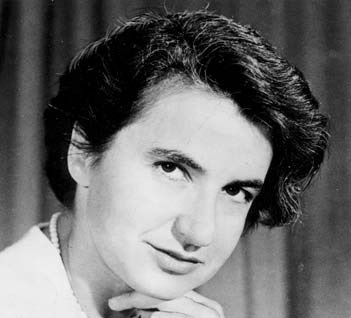 Women like Rosalind Franklin have made—and continue to make—essential contributions to the field of genetics. GSA has partnered with the Gruber Foundation and the American Society of Human Genetics to recognize young women with the Rosalind Franklin Young Investigator Award for research in genetics. The award is intended to inspire and support new generations of women in our field and honors women in the first one to three years of an independent faculty-level position whose work displays originality and scientific creativity leading to new discoveries. Check out perspectives from our most recent awardees Maria Barna and Carolyn (Lindy) McBride.